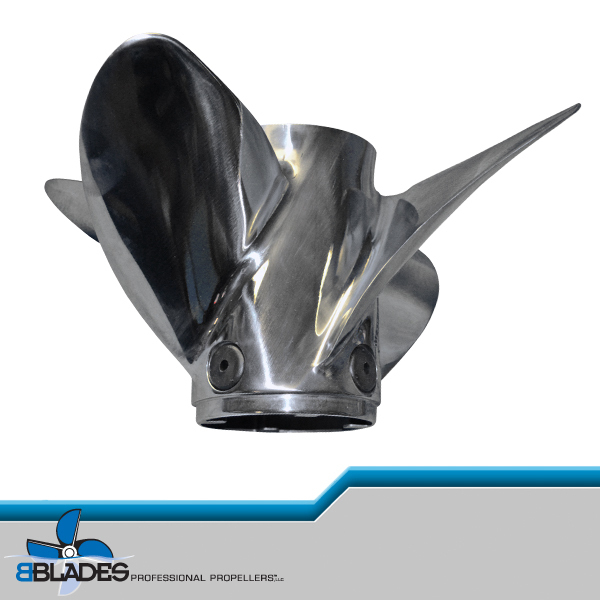 The ultimate over the hub exhaust outboard propeller for go fast boats with some built in bow carrying ability such as air entrapment/cat and padded bottom boats. 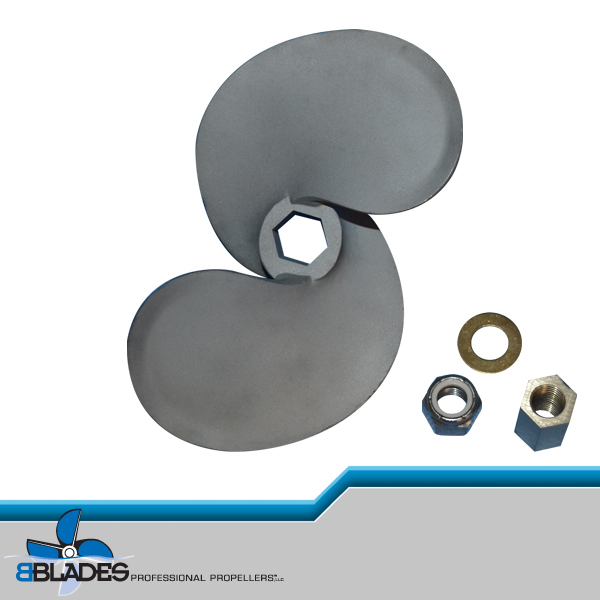 Great for elevated surface piercing applications as well as prop shafts levels below the bottom of the boat. Best suited on 150-300 HP outboards but can run up to 400 HP on lightweight hulls. Extreme over the hub outboard performance for go fast hulls requiring a little extra response to trim and bow lift. Can run on the surface as well as fully submerged engine prop shaft depths. Best suited on 150-300 HP outboards but can run up to 400HP on lightweight hulls. The ultimate go fast out board propeller. 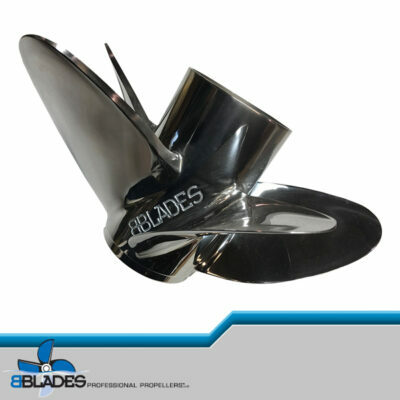 This 4 blade “Chopper” style propeller allows the performance minded boater the ability to raise their engine heights for optimum top end speeds. 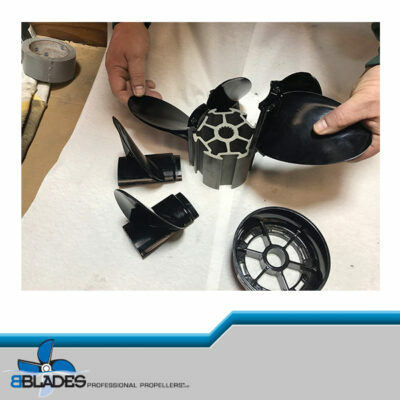 4 blade, over hub exhaust, “Lab Finished” design has custom blade geometry and perfect balance for unreal acceleration and extreme top end speeds. 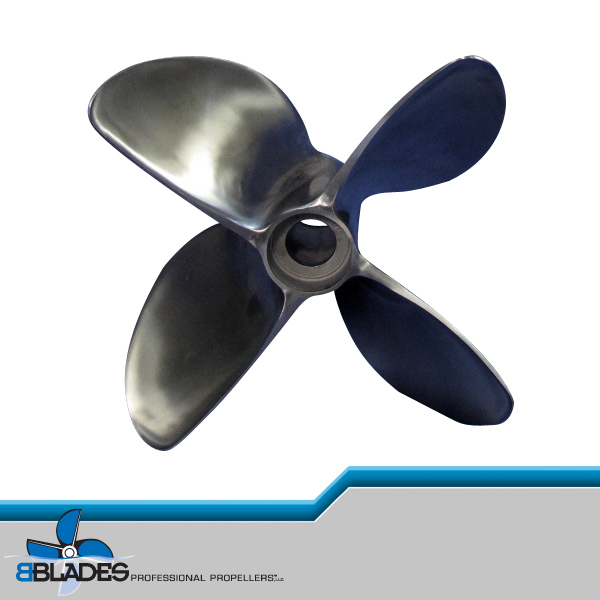 Superb hole shot performance and fantastic trim reaction make this propeller a true Blaster!. Lab finished ‘Blaster’ is available in right-hand and left-hand rotation. 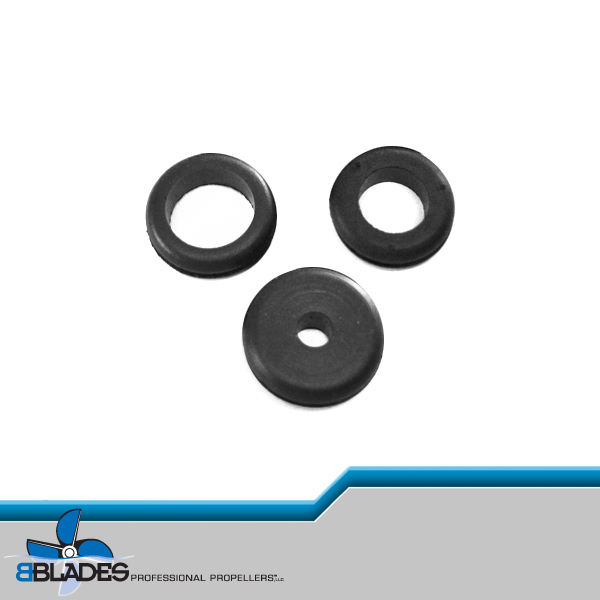 Pitch NOW available in single inch increments from 23 to 34 making it a even more versatile competitor which can be customized to any application and set-up. 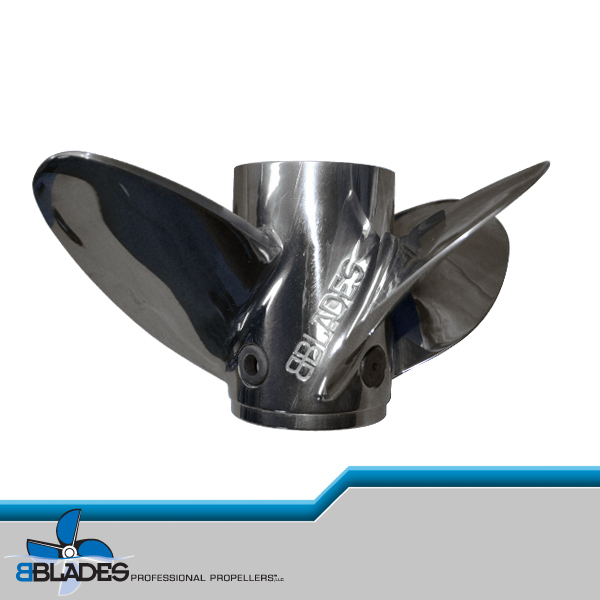 Call to demo this propeller in our Testing Program and the testing fee goes toward purchase of this BBLADES branded propeller. Months and months of relentless testing against many props and nothing has come close to the BBlades Blaster 32 on my Talon 22 / 300xs. Great prop with even better customer service from Brett and Brad! Great work guys! I imported this propeller into Australia after the Hull Tech at B Blades reviewed the Boat-Hull arrangement. The Propeller has performed so well I will purchase another with a bigger pitch at a later date. I have a Checkmate 2400 BRX with a Merc 400R, tried & tested several props but couldn’t find the right one for high speed running, talking initially with Brett & later extensively with Brad i took their suggestion & tried their 24″ Blaster….what a great prop for this boat/motor combo this prop holds the bow right were it needs to be for max speed with less trim angle compared to other props tested has great hole shot & awesome midrange punch.